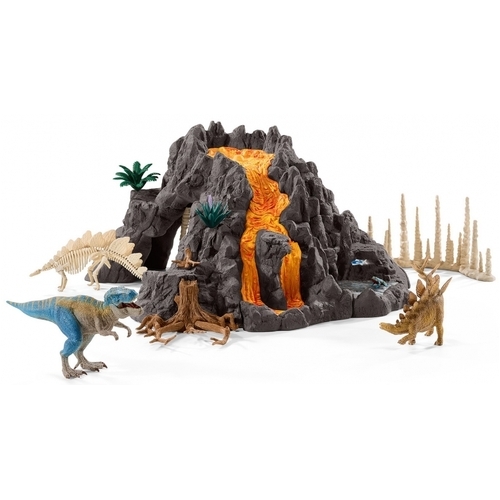 The earth trembles from the force of the volcanic eruption, and the prehistoric animals run away as fast as they can. 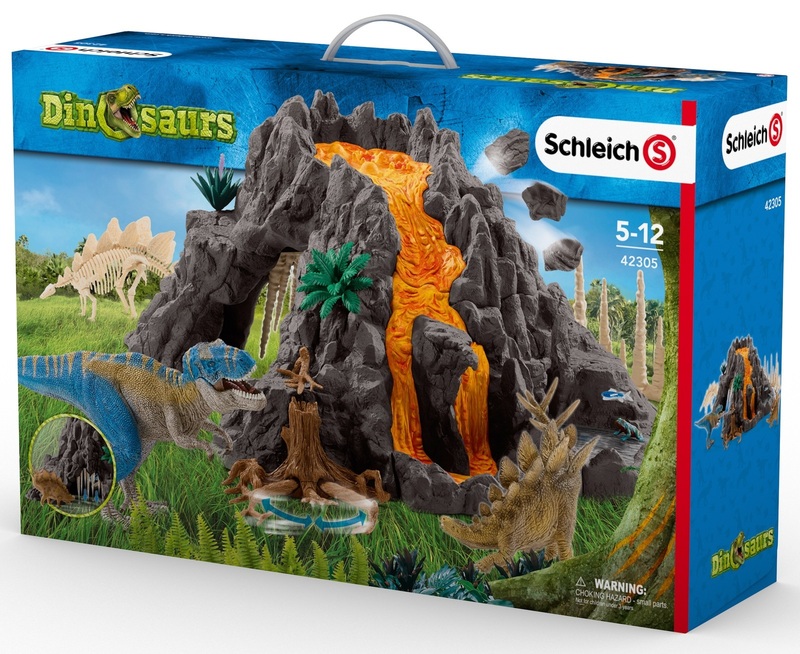 But then the big T-Rex appears too. Can you catch it and lock it in the stalagmite cave under the volcano? 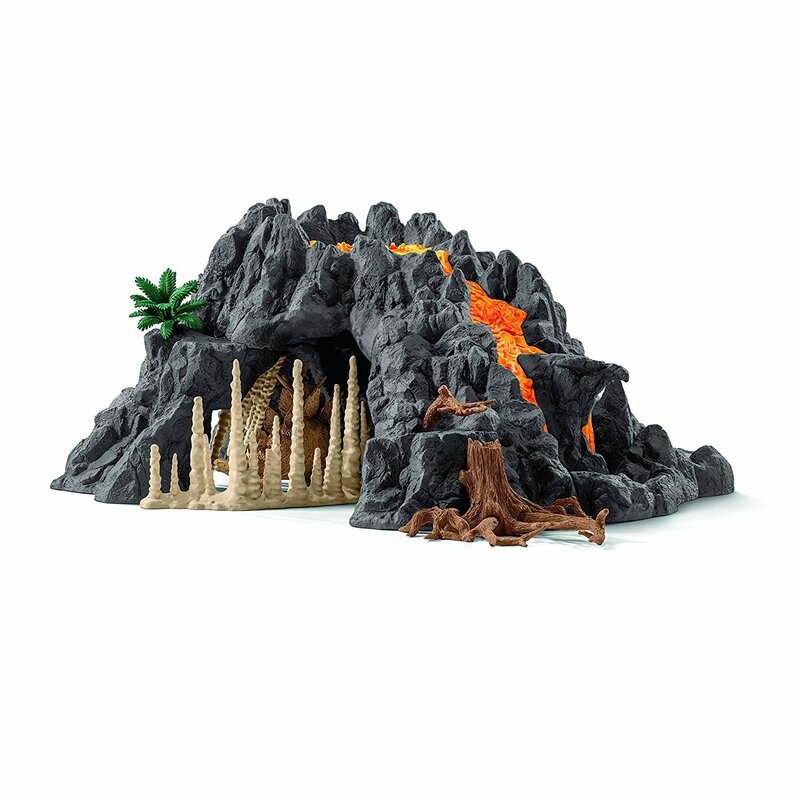 On your adventure, you will also find a fossil that was dislodged from the side of the volcano by a rockfall and broke into lots of puzzle pieces. 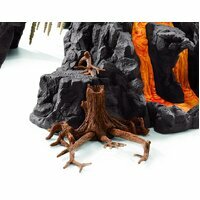 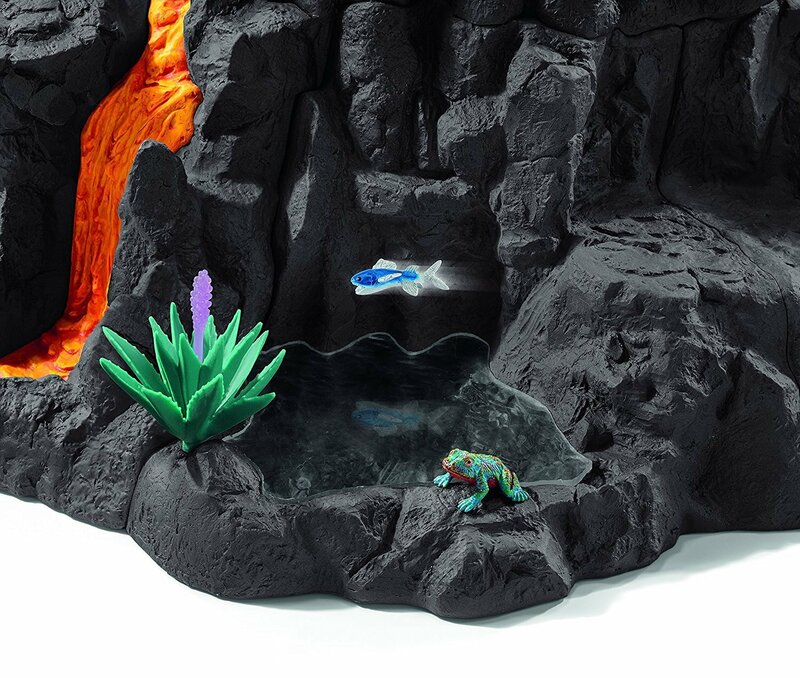 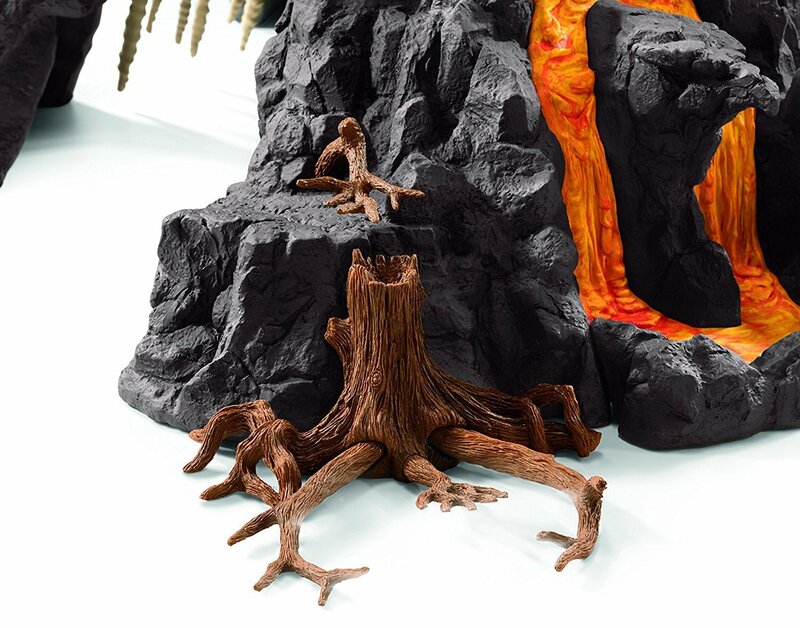 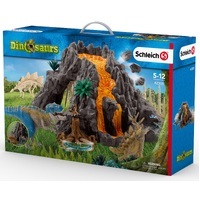 The giant volcano also includes lots of other exciting animals like reptiles and amphibians as well as a dinosaur trap, a water hole with removable water surface and points to insert plants. 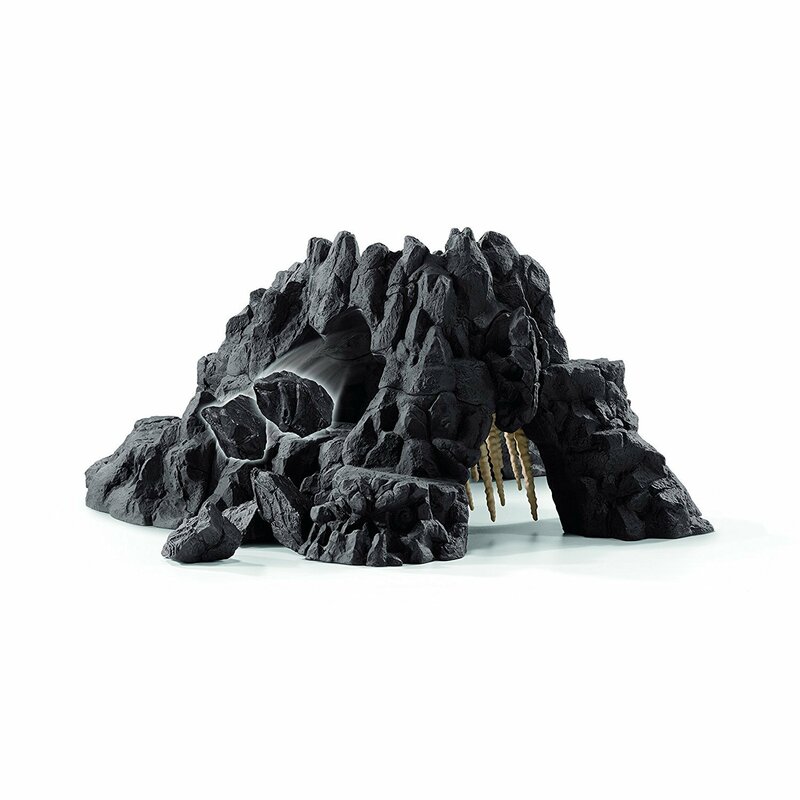 - Press the mysterious skull to release the stalactites and block the entrance! 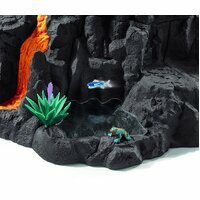 - Detachable pools of water with a secret hiding place for small water creatures! 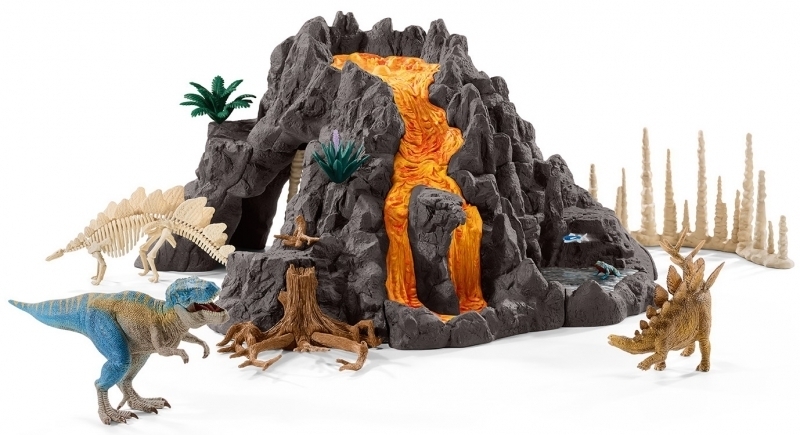 - Press on the large stone to create an explosion!